A property appraisal can help support some of your most critical business decisions. Say goodbye to the proverbial crystal ball. Farm Credit Service’s Farm Cash Management (FCM) tool spares you the daily task of estimating your cash position. Hope for the best, prepare for the worst. You’ve heard that farmer’s motto before and insurance is one of the best ways to prepare for all those things you hope will never happen. Whether driving to the fields, baling hay, picking cotton or harvesting rice. 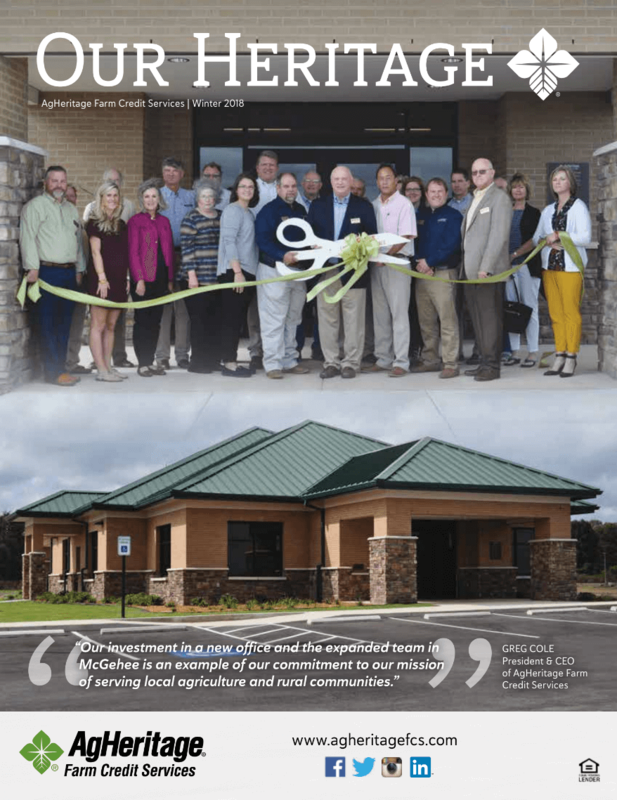 In July 2016, Farm Credit marked 100 years of support for rural communities and agriculture, a milestone celebrated throughout the year and now drawing to a close. See highlights from Farm Credit's year-long centennial celebration. Read the latest issue of our member magazine Our Heritage.